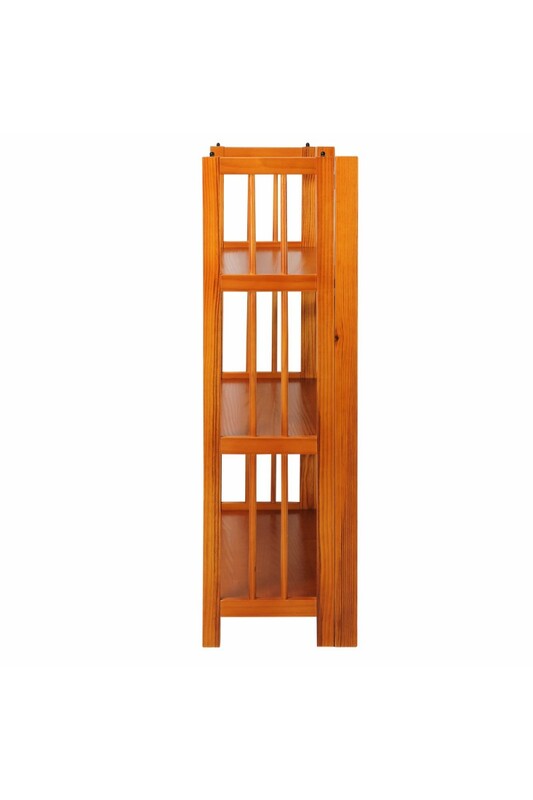 Sturdy and stackable, this folding bookcase combines durability and versatility. 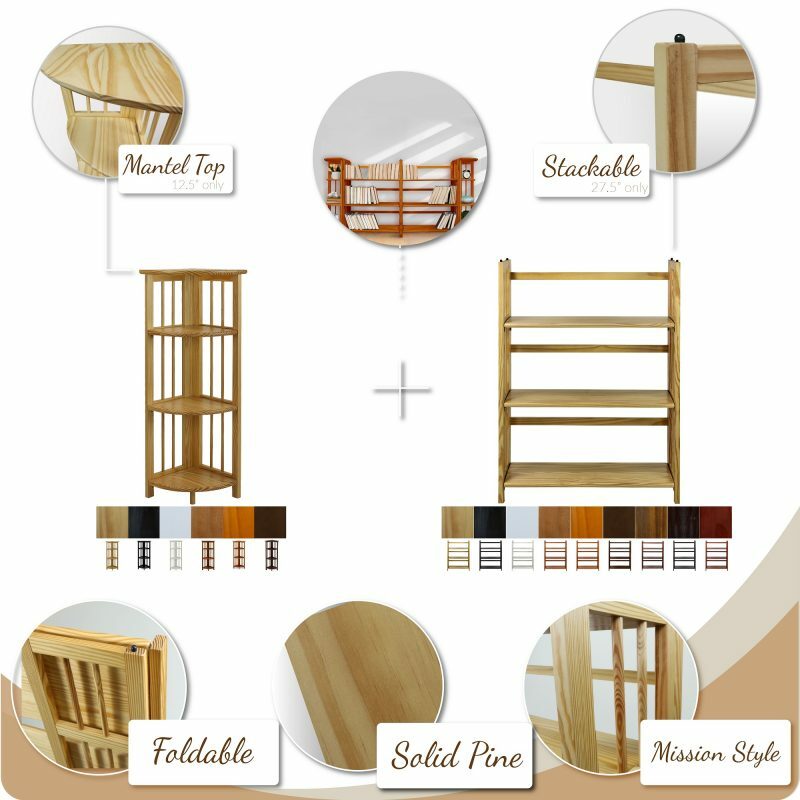 3 strong shelves provide ample room for storage or decoration. Need more room? 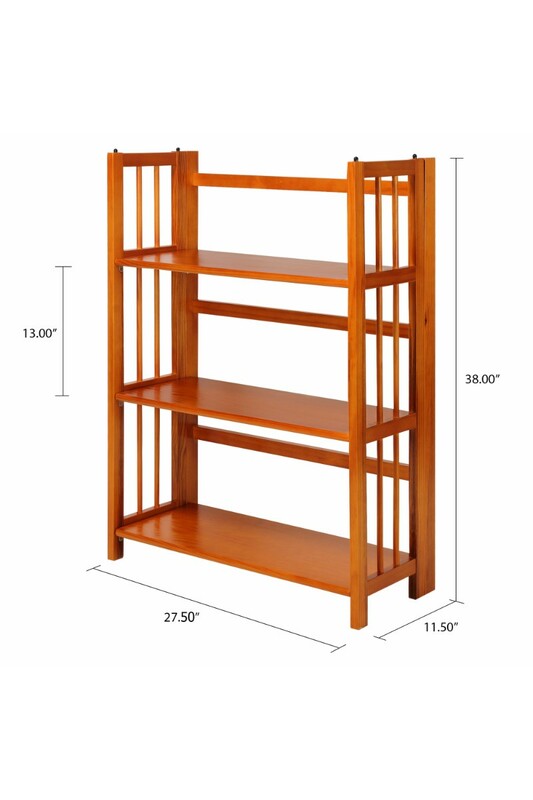 Stack up to 2 bookcases high to enhance organization or free up room space. Foldable design makes transportation and rearrangement a breeze. 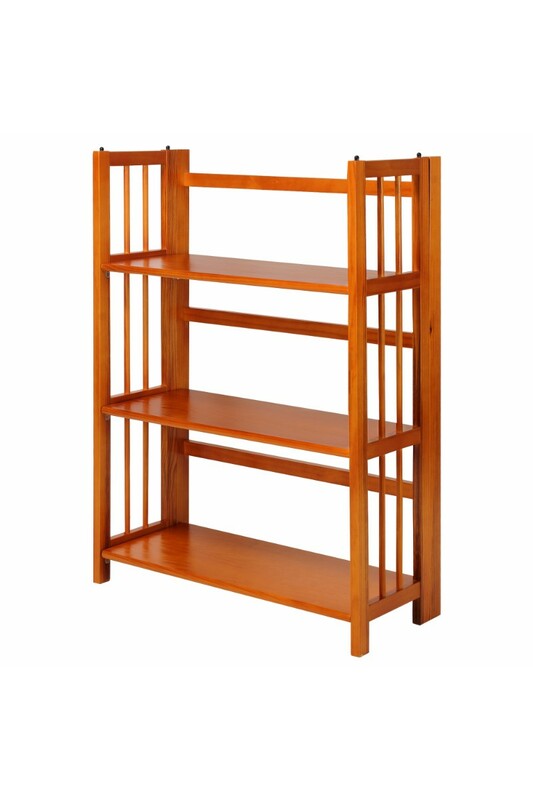 3-Shelf Folding Stackable Bookcase – Sturdy and stackable, this Folding Bookcase combines durability and versatility. 3 strong shelves provide ample room for storage or decoration. Need more room? 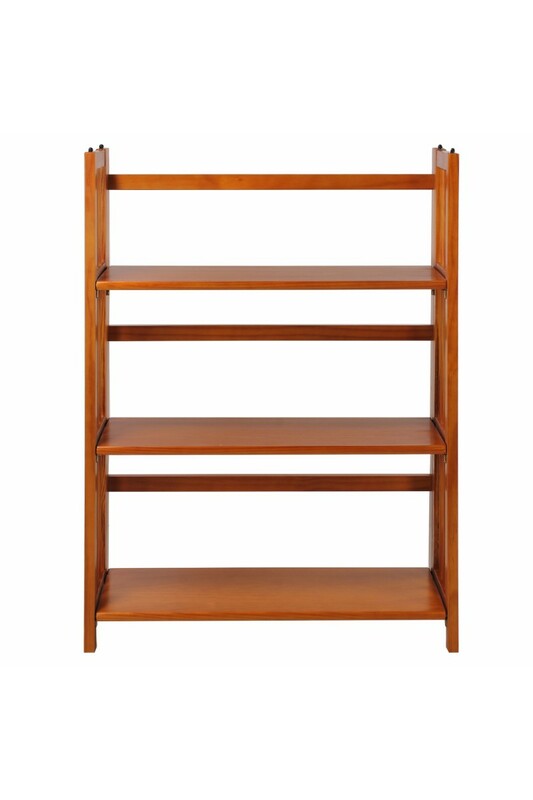 Stack up to 2 bookcases high to enhance organization or free up space. Foldable design makes transportation, storage, and rearrangement a breeze. 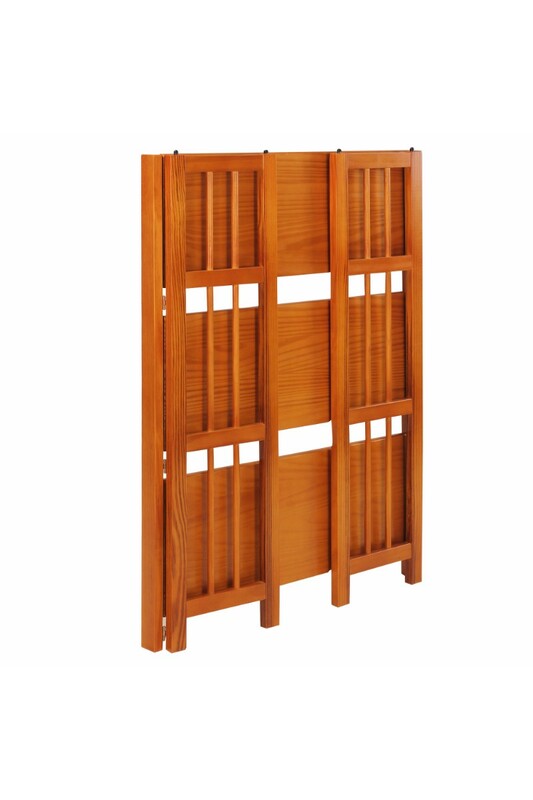 Constructed of solid wood for lasting beauty. 3 sturdy 27. 5″- wide shelves support your belongings. Rich espresso finish accentuates your decor. 11.5″W x 27.5″D x 38″H, Weight: 17.6 lb.